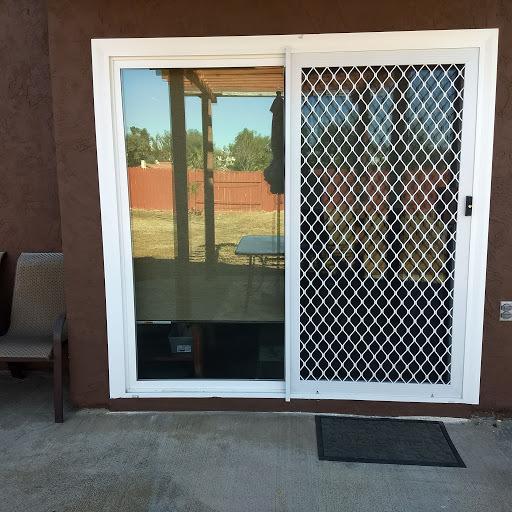 There are a lot of different models of security screen doors on the market – what may be right for you depends on what you’d like the appearance to be, what you want the door to do and your budget. 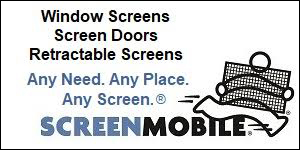 Screenmobile carries two different product lines that cover the higher end and mid-range budget categories. The nicest screen doors we carry feature a stainless steel woven screen. This material, often sold under the brand name Meshtec®, looks like heavy duty fabric window screen but performs like steel, passing a 5-minute butcher knife penetration test. 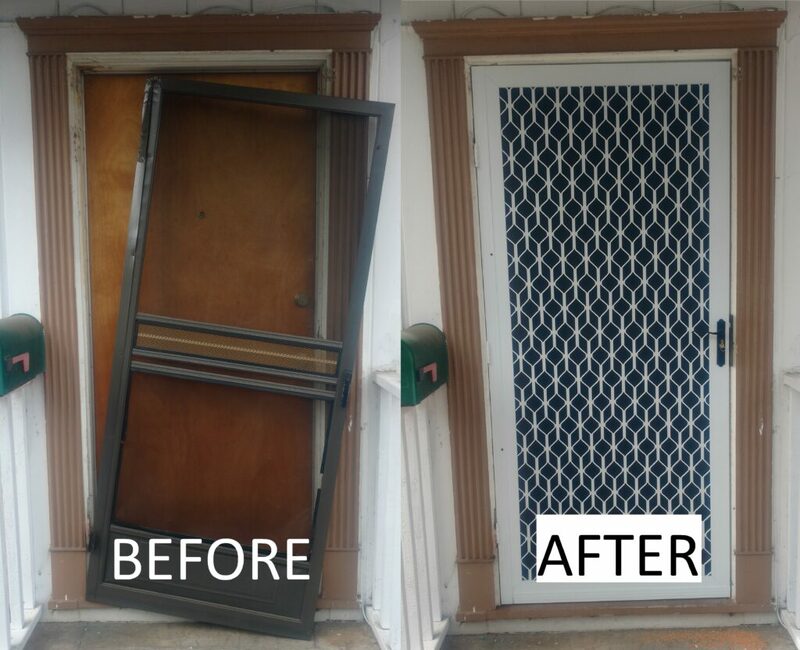 The door itself is made of heavy gauge aluminum, and the lock secures the door in three places into the heavy duty frame, which is itself secured into the door jamb with screws concealed in a secured channel. The beauty of this design is that the door looks like a full view screen door, but functions as an extremely secure security door, preserving the look of your main door. Prices vary depending on size, but average around $1,500. Another nice option at around half the price are models that use a heavy gauge extruded aluminum grill for security. 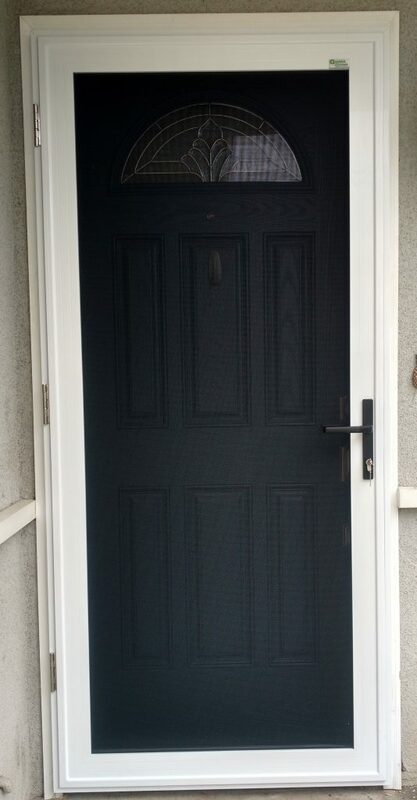 These look very different from the stainless steel mesh doors – the grill makes a prominent pattern over the entire door, so there is not as much visibility of the primary door. Behind the grill is standard patio screen though, so there is still high airflow, similar to a standard non-security swinging screen door. The door comes in eight colors, so there is usually a nice match to your trim or other entry way elements. The door is keyed with a single deadbolt, which extends into the jamb for security. 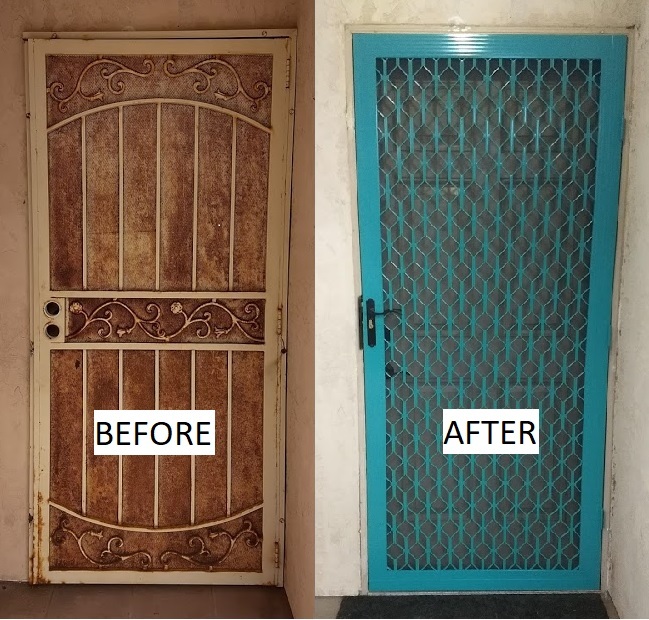 It is not as secure as the stainless steel mesh door as there is not a surrounding frame – the hinges are mounted directly to the jamb and the deadbolt goes into the jamb, not into a metal frame. The nice feature to this, though, is that these doors are mounted inside the jamb itself – not flush on the outside of the house – so they look and function more like a standard screen door, and less like an obvious security door. The least expensive category of security doors are made of perforated steel. They are made in generic sizes so they can be sold at home stores and installed by homeowners. They are surface mounted to the outside of the door jamb with one way screws, and feature iron bars that make it look like you have a security problem. The painted steel also begins to rust after a couple of years in the San Diego weather. Screenmobile does not sell this category of door, as technically this is not a screen product. The portion of the door that is not covered by the iron bars is a flat sheet of steel with small holes punched into it – not a woven product. They are not designed to seal well – they are truly just there for security – and do not provide insect protection or significant air flow. All versions of these doors come in both swinging and sliding versions, with similar price points. Please contact us if you would like more information, or if you’d like to see samples of security screen doors. We’d be happy to help!